Not a nice photo but I took this last week in Nikko. Actually, I tried to take some photos of the famous cherry blossoms in Tamozawa Imperial Villa. Unfortunately cherry blossoms in Nikko was not the right time when I visited. But Yashio Azaleas was blooming instead. Cherry blossoms in Nikko will be full this weekend, I should say. 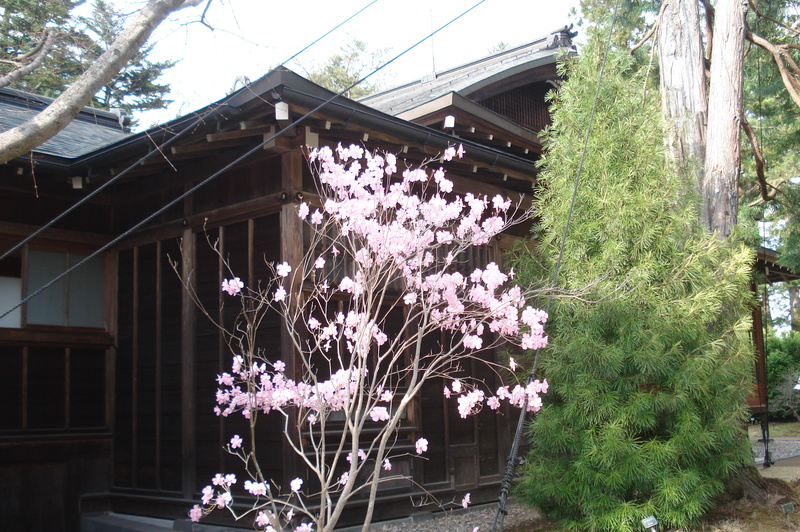 An other famous cherry tree is Kongozakura which is designated as a protected species. 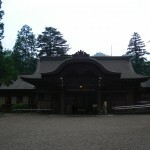 You never miss it if you go to Sanbutsudo Hall, Rinnoji Temple. 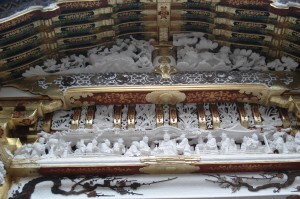 Nikko Toshogu-shrine is known as the most colorful and well decorated shrine in Japan. 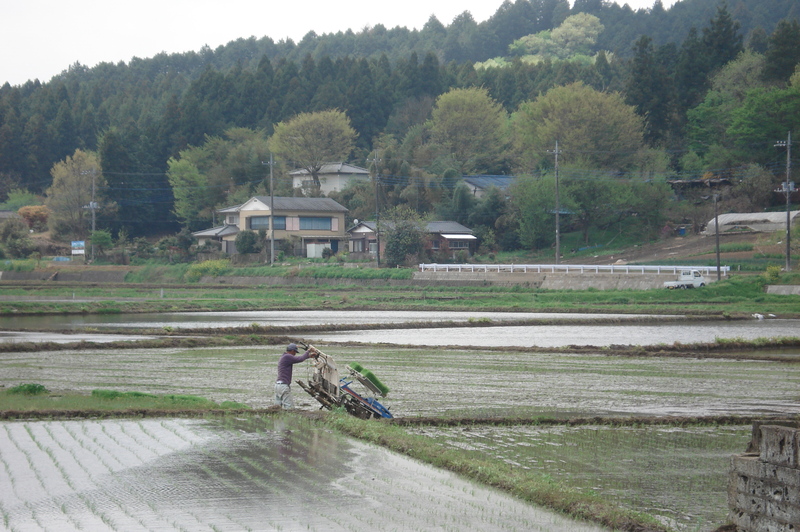 Above photos are taken not in Nikko but Serada, Ota-shi, Gunma pref. next to Tochigi pref. 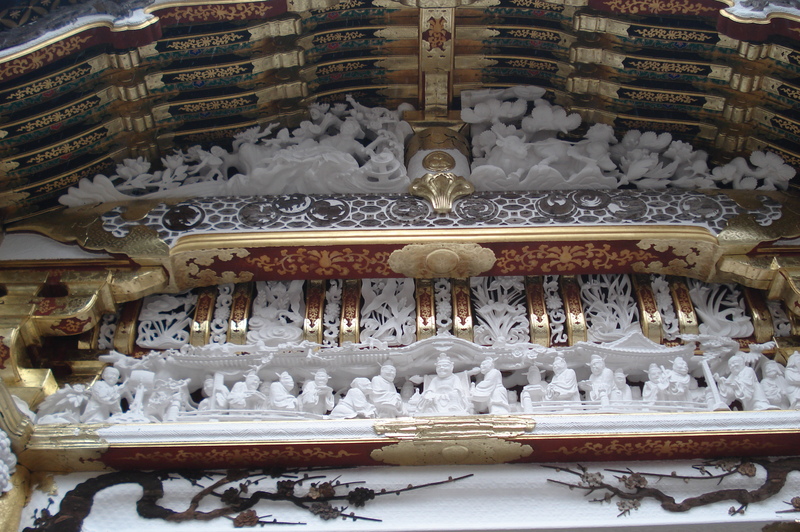 These are photos of original Nikko Toshogu-shrine which was built by Iyasasu’s son the second Shogun Hidetada. After 20 years passed, the third Shogun Iemitsu who loved his grand father rebuilt the world famous Toshogu-shrine which we can see now in Nikko. 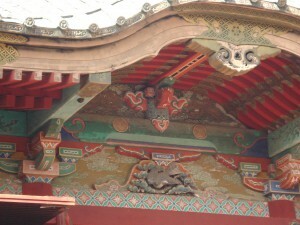 Original Nikko Tosogu-shrine. 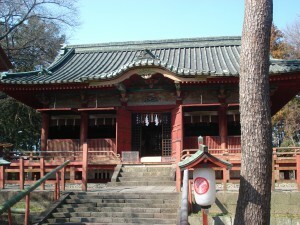 Original architecture was moved to Serada where Tokugawa’s place of origin. Please compare above photos and the photo down below. 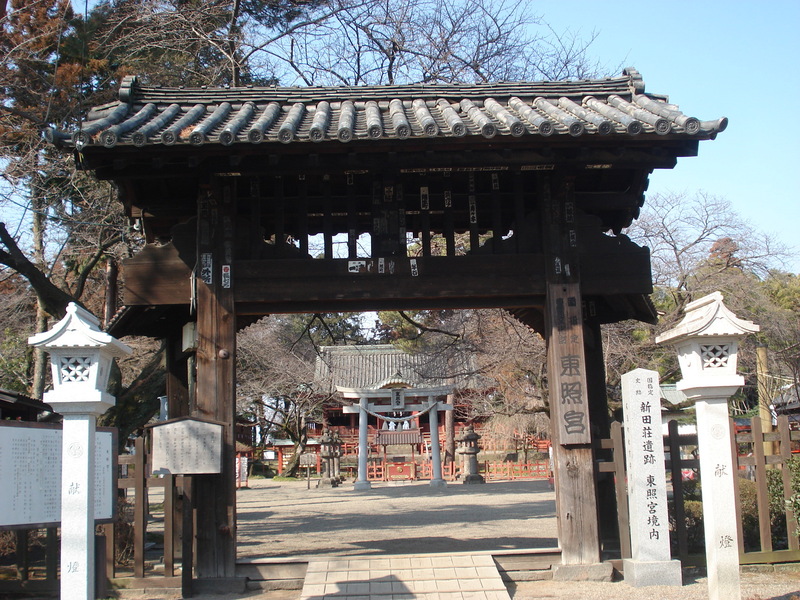 According to Ieyasu’s will,” build a small shrine and enshrine me as a god” ., Hidetada followed what his father said. Simply Iemitsu spent nearly 3% of GNP at that time to build such an amazing architecture. 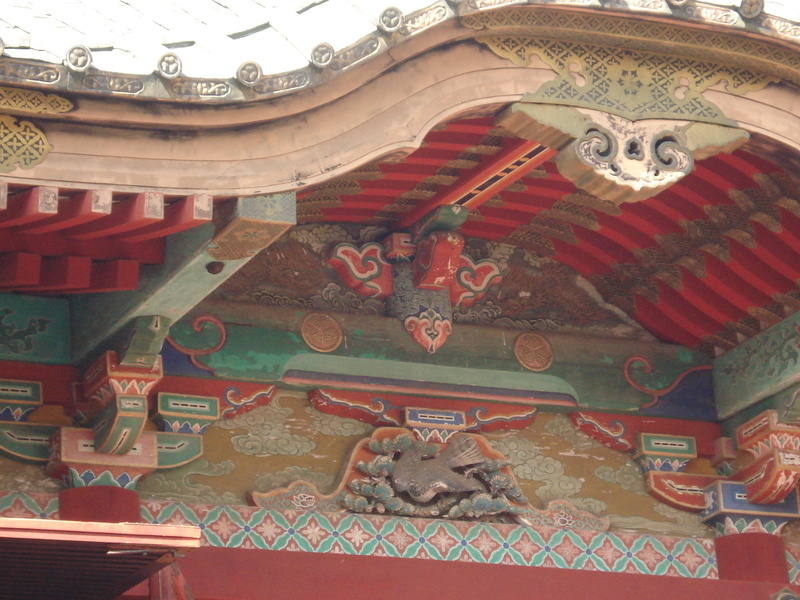 One of the national treasures in Japan is Karamon-gate, Toshogu in Nikko. When you come to Nikko, please contact TOTAK guides who are based inTochigi pref. and show you around at reasonable guiding fee. I think it is worth to be with the guide. Contact Cool Tours or me directly. 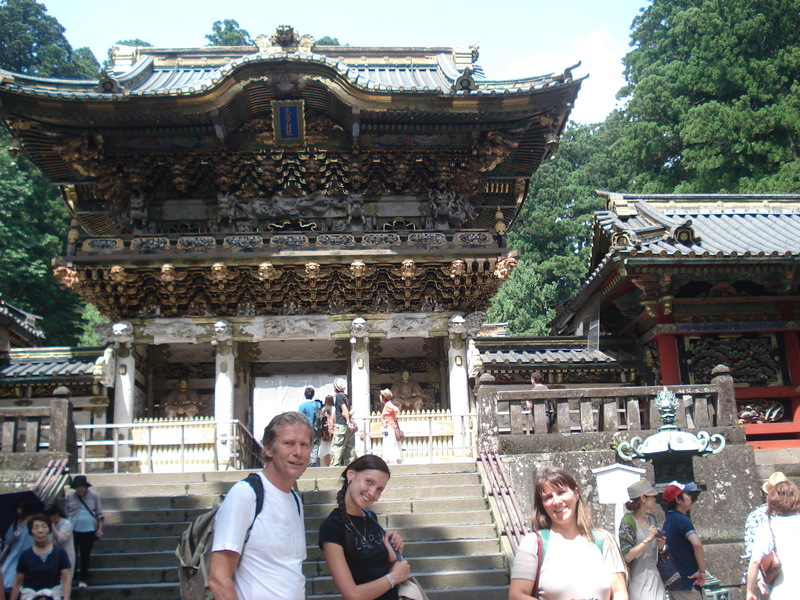 I’ve been to Nikko with TOTAK members the other day. Main purpose of our visist to Nikko was to appreciate a performance of Takigi Noh Play at Rin-nouji Temple. 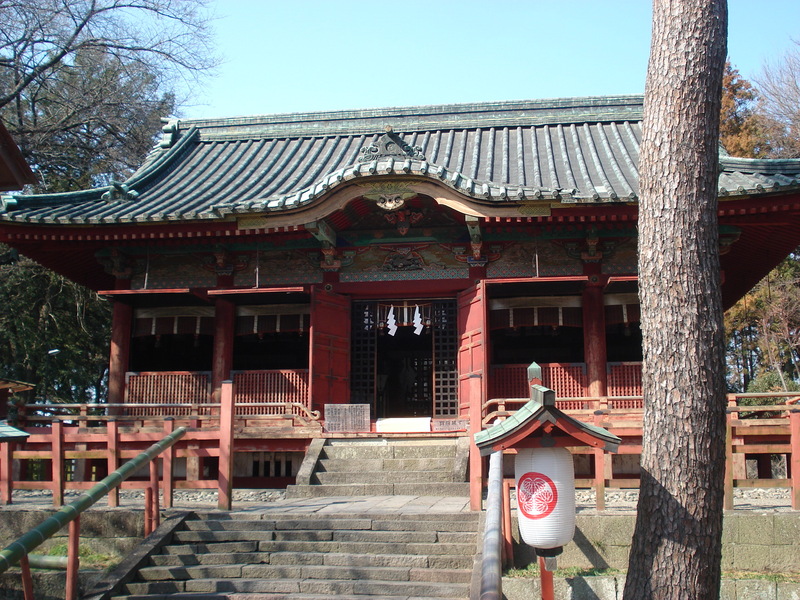 Chair person of the society organized the tour not only to see the Noh Play but also including Nikko Tamozawa Imperial Villa Memorial Park. Currently we have three Imperial Villas in Japan. Suzaki Imperial Villa in Shizuoka, Hayama Imperial Villa in Kanagawa and Nasu Imperial Villa in Tochigi. 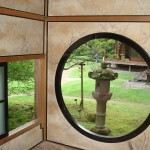 We used to have an Imperial Villa in Nikko as well. 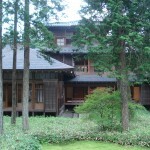 Nikko Tamozawa Imperial Villa was built in 1899 for imperial prince Yoshihito who would be Taisho emperor. He was poor in health so that he needed to stay at some of the health resort. The summer weather in Nikko was suitable for him and the officials (mainly ministry of Imperial hold) decided to build it for him. After the world war two, due to the new constitution introduced, Nikko Tamozawa Imperial Villa was abolished in 1947. 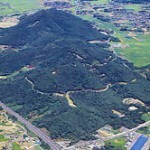 However, one of Tochigi authorities maintain the property as one of parks in Tochigi. 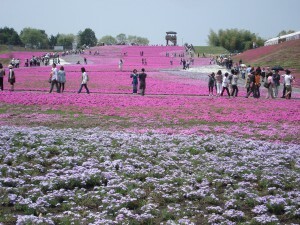 You should go there while you are here in Tochigi, Japan. After we enjoyed Ramen noodles in Sano and window shopping at the premium outlet, we dropped by Mikamoyama Park. 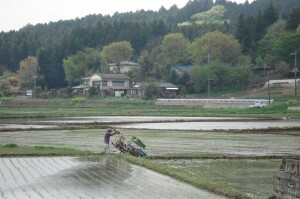 The name of Mikamoyama is very popular among Japanese people. The oldest existing collection of Japanese poetry, Manyoshu (Collection of Ten Thousand leaves) compiled some time 759 AD. during Nara period includes Mikamoyama poet. Actually I know the name of Mikamoyama but I never knew the whole poet. I guess most of Japanese people are the same as me. 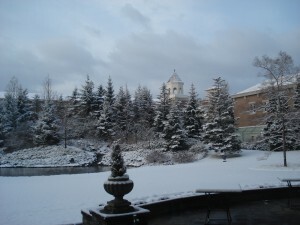 A part of Mikamoyama is the local government running park. Most of Japanese facilities require admission fee for us to enter, but this park is running by local government so that only you have to pay is a motive ride (train?). We used the Motorway back to Utsunomiya. It took us only 40 minutes. 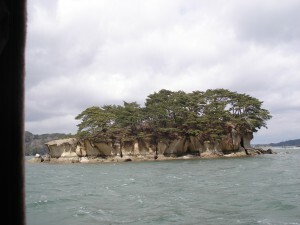 Sano, famous for Ramen, Yakuyoke-Daishi and Brand-shop outlets. When we arrived at Sano was just after lunch time, and we were so hungry that we jumped in one of the famous Sano Ramen restaurnat. I never thought to take photos of Ramen noodle because of my starving stomach. After the meal, I asked the staff to show us how to make Sano Ramen noodles. 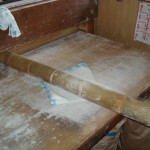 Unfortuanately noodles has been made in the morning, so that he used the towel instead of dough for us to demonstrate how to use bamboo. Sano Ramen noodles are made such a way supposed to be, but only 4 or 5 restaurants are following this method. We really enjoyed the texture of the noodles and also the taste of broth. 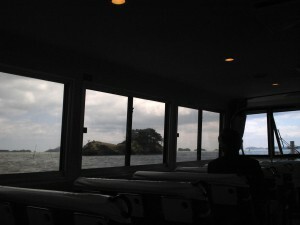 We have not visit Sano Yakuyoke Daishi (SYD not Sydney though) this time. 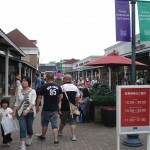 We visited Sano Premium Outlet instead. There are a lot of brand shops. We saw a lot of people but not so many people walking with shopping bags due to our economy, I guess. 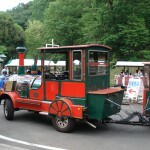 We were so lucky having a beaufiful day when we visited to Shibazakura park. 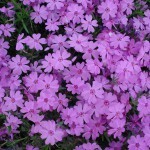 Shibazakura, Phlox subulata (Moss Phlox, Moss Pink, Mountain Phlox) is a perennial creeper growing to a height of 6 inches and covering a 20 inch wide area. 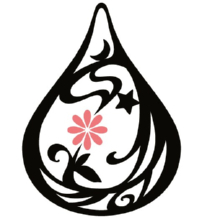 The small, five-petaled flowers bloom in rose, mauve, blue, white, or pink in late spring to early summer. (according to Wikipedia). We were supposed to park our vehicle at Number 2 car park where located a bit far from the park. Shuttle seriveces have been arranged by the organizer. My car has got two stickers which indicating for paraplegic. We have not been anticipated, but traffic controller asked us to go to Number 1 car park, next to the park. Lucky us. You don’t bring anything with you when you go to the place like this, always some food bars are ready to wait for you in Japan. Of course you have to pay a little bit more money than ordinal place. 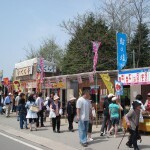 Usually, you can find Yakisoba (Fried chinese noodles with tomato based sauce), Oknomiyaki or Takoyaki at the food bar. 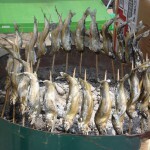 Here in Tochigi, you can find grilled sweet fish most of the time. Why don’t you try some? Fukuroda falls are one of the three beautiful falls in Japan. Kegon falls and Nachi falls are the others. 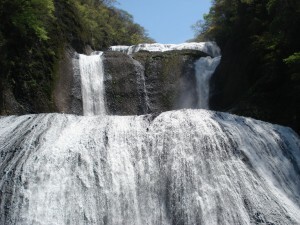 Fukuoroda falls are located in Daigo-cho, Ibaraki, cross the border off Tochigi where I live. It took me around one and half hours to get there from my house. New lookout has been introduced short while ago, people enjoy 44m elevator ride and could see the top part of the falls now. However, it is said that the old lookout is better than new one in terms of their stringency. 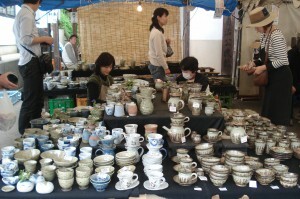 Currently admission fee is 300 yen. If you wish to see my motion picture, please click below. Today is the last day of Golden Week Holiday. May the 5th is Children’s day and we often fly carp-shaped streamers outside our homes to represent strength and success. 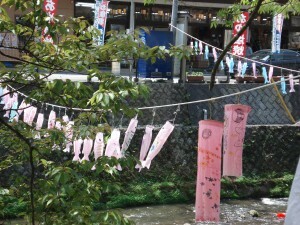 We can also see a lot of carp streamers across the rivers in rural areas. 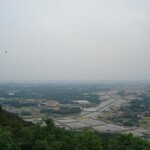 This is the shot when I went to Fukuroda falls in Ibaraki just cross the border where I live. 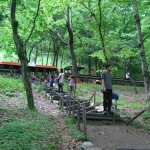 On the way to the falls, we have to walk along Kuji river for a while, but it was a nice walk there. We had to park our cars about 10 minutes walk distance from the entrance of the falls. We saw a lot of carp flying in the sky on that day. We were luckily back home without heavy traffic jam. May be deities blessed us because we are doing well all the time! ?